The Supreme Court today (Tuesday, April 16) expressed satisfaction with Election Commission (EC) taking action against leading political candidates for their communal speeches, soon after being pulled up by the court for describing itself as “toothless” and “powerless” in the face of hate. “Seems you have got your powers now,” Chief Justice of India (CJI) Ranjan Gogoi remarked to the EC. 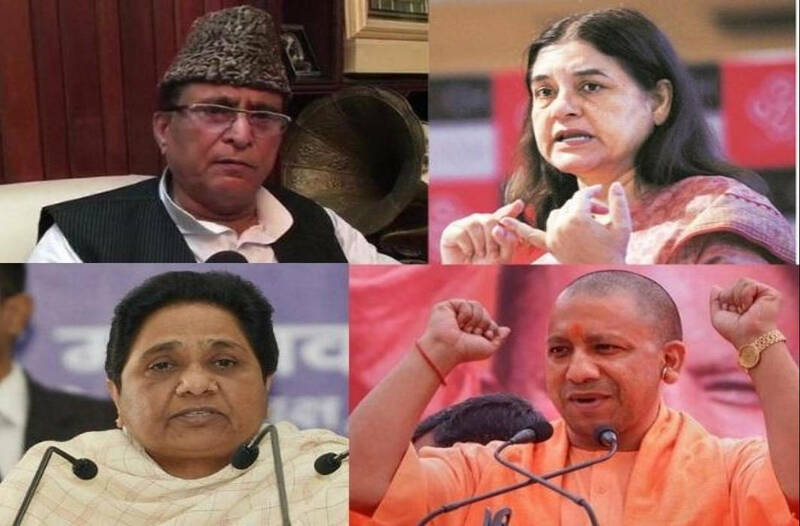 After being pulled up by the Supreme Court, the EC had acted against Uttar Pradesh Chief Minister Yogi Adityanath, Bahujan Samaj Party (BSP) chief Mayawati, Samajwadi Party leader Azam Khan and BJP leader Maneka Gandhi, prohibiting them from election campaign for 48 to 72 hours. “We found we have several powers…” senior advocate CA Sundaram, who appeared for the ECI in the case, acquiesced. “So, EC has woken up to its powers,” CJI Gogoi said pointedly, again. On Monday, the EC had claimed it was mostly helpless if candidates spewed communal vitriol in their campaign speeches for Lok Sabha polls of 2019. This had riled a Bench led by CJI Ranjan Gogoi, who initially threatened to summon Chief Election Commissioner Sunil Arora to take the court’s questions. The court had then decided to delve deep into the EC’s claims that its powers were “circumscribed”. It had given the Commission exactly 24 hours to be ready with a response. Shortly after the order was passed on Monday, the EC passed orders against the four politicians, gagging them. Mayawati alleged that the Election Commission passed ex-parte orders. Mayawati’s lawyer and senior advocate Dushyant Dave said the EC’s gag is “extremely drastic”. He sought an urgent hearing at 2 pm on Tuesday. “This is harsh. Meetings are already scheduled,” Dave urged the court for a hearing. “File an appeal if you want. Not commenting on anything now,” Chief Justice dismissed the plea. “Pursuant to order passed yesterday (April 15), EC has taken action, appropriate details of which have been submitted. No further order called for today. Mention (the case) as and when required,” the Supreme Court recorded in its order on Tuesday. The Court said the EC was “duty-bound” to act promptly against hate speech given in violation of the Model Code of Conduct under place in the 2019 Lok Sabha polls. The Court was hearing a petition filed by an NRI, Harpreet Mansukhani, highlighting the increase in hate and divisive speeches in the name of religion and caste in the Lok Sabha elections of 2019. The petition had urged the court to direct the constitution of a committee headed by a former apex court judge to closely watch the election process and check the fairness of the EC. The petition said the communalism of Indian politics, and caste-based parties, were a “great threat to the spirit of the Constitution”. “The essential component of a constitutional democracy is its ability to give and secure for its citizenry a representative form of government, elected freely and fairly, and comprising of a polity whose members are men and women of high integrity and morality,” the petition said. “The ‘undesirable development’ of appeals to religion, race, caste, community or language of politicians would hamper the objective of fundamental rights provided under the Constitution of India, this would affect the public at large,” the plea had said. The plea had also sought a direction to the poll panel to take strict actions against media houses which hold debates on caste or religious lines. “A new trend of giving tickets to those who spread communal hatred and do caste or religion based politics has grown very rapidly on media and social media platform more than that the situation appears to be more alarming when we find such persons being elected for the State Assembly or Parliament…,” the plea had said.